Tights are one of those winter essentials that seem like an afterthought. But when you actually break it down, they often end up doing most of the heavy lifting in an outfit. Think about it—you wouldn’t be able to wear your favorite dress throughout the harsh season without a pair. You’d legit freeze to death. To that, boots are (obviously) another item that ranks high on the winter staple list. The two more or less go hand in hand (or foot in foot—yes, just went there). So, in honor of the duo, we’re showcasing some of our favorite pieces to wear with your tights and boots right now. 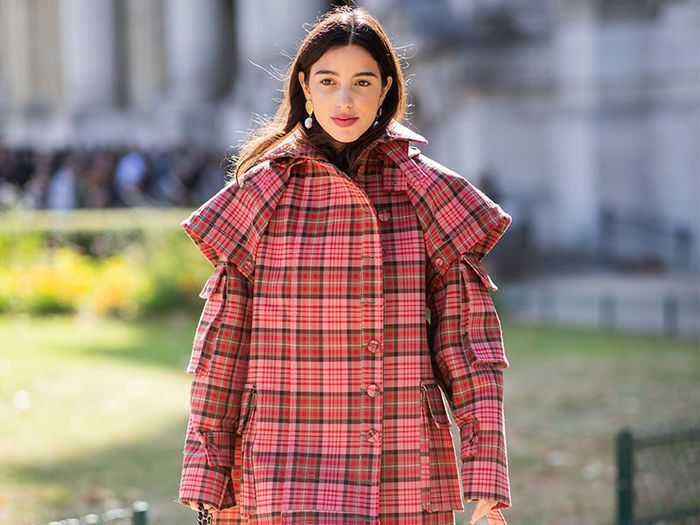 Keep scrolling to check out five fashion-forward outfits that collectively feature 14 stylish things to wear with the cold-weather must-haves. Plus, shop each look along the way if you’re looking to refresh your wardrobe. Winter’s officially met its match. If you're going for a forward pair of mid-calf boots, show them off with your tights, a sweaterdress, and a printed coat. Want to stay extra toasty with a shorter skirt? Pair your tights with thigh-high boots, and go for a turtleneck and parka. If it's slightly warmer where you are (aka you can get by sans coat), opt for your favorite pair of ankle boots, complete with your tights, a skirt, and a cozy knit. Master that cool downtown look with very-right-now Dr. Martens, socks layered over your tights, and a midi dress and leather jacket. Again, this is a 'fit that works better if it's not completely frigid. Go for knee-high boots with your tights, a skirt, a white top, and an oversize blazer-coat. Next, check out midi skirt–and-boots pairings to test out this winter.